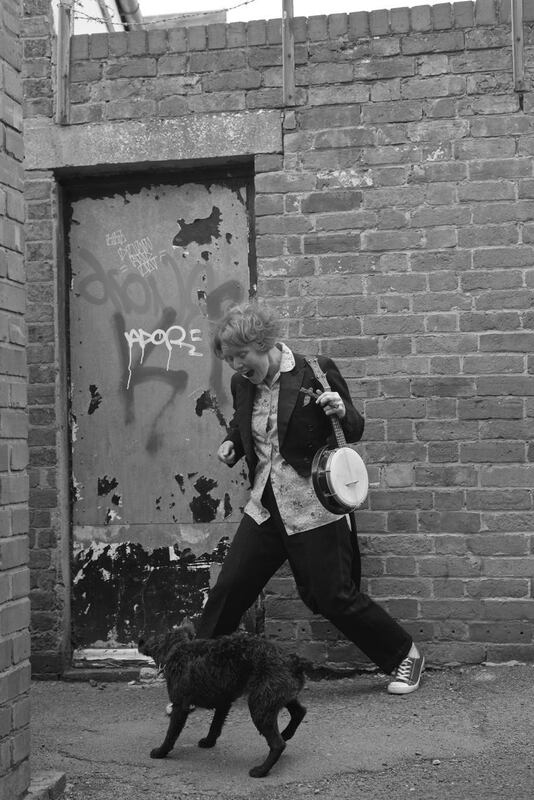 How Monkey found his Swing was first commissioned by the Dalcrose Society as an interactive children’s performance for the 2015 Manchester Jazz Festival. 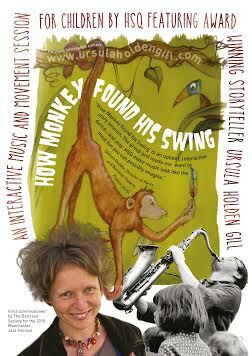 It is a collaboration between Ursula and the Hilary Step Saxophone Quartet. In 2016 it proved a huge hit at The Birmingham Symphony Hall, pretty much stole the show at the Just So Children’s Festival & in 2017 went on to ace The Bridgewater Hall. HMS Syncopation has since been commissioned by Jazz North for 2019. This is an interactive concert experience for children and the young at heart. 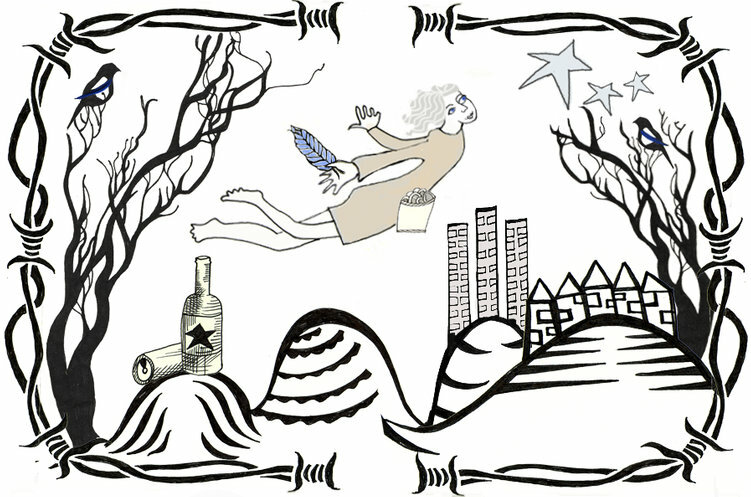 It aims to encourage the audience to respond creatively to music through song, hand held percussion, dance and Dalcroze techniques. 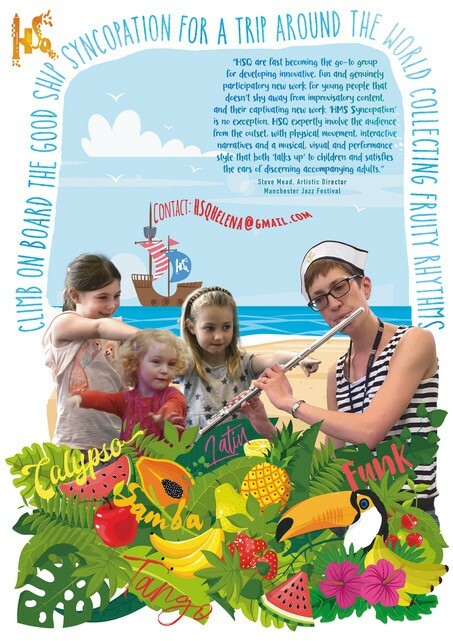 As the ship travels around the world it encounters different styles of jazz music (Tango, Calypso, Funk, Latin) & collects pieces of fruit to create a vibrant Samba Salad. Both pieces are energetic, boisterous and a perfect way to introduce youngsters to new sounds and unusual instruments, through movement, characterisation and lots and lots of laughter! Visit the HSQ site to watch some highlights.